How do I connect with a psychic by phone? You have the option to contact a psychic either by phone or by email. 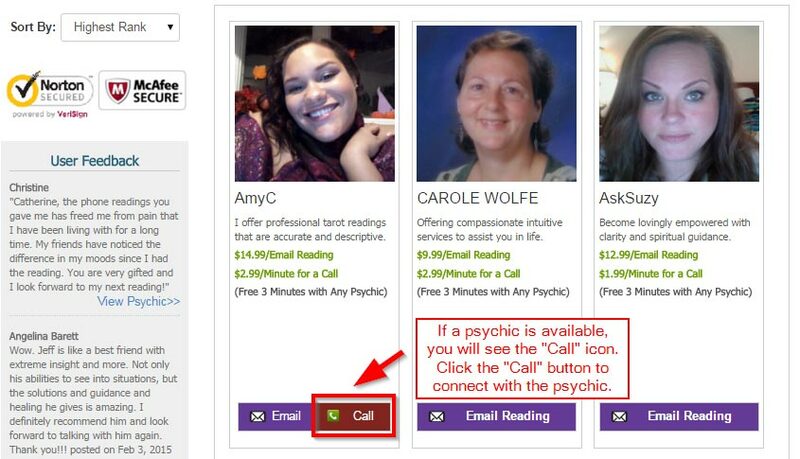 If you see on psychic profile a "Call" or "Email Reading" button that means that this psychic is available for taking calls. You can always check a psychic phone schedule which is located on a psychic profile page. How will I know when your Psychic is calling me for a reading? Once you click on “Call now” button on our website, our system will start calling you and you will see USA phone number 1-855-212-8170 on your call display. 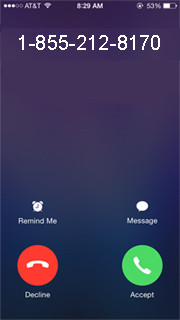 We highly recommend adding this number to your contacts and saved it as PsychicOz contact number. Will you display my phone number or email address to a psychic? No. Psychics will not be able to see your phone number or your personal email address . We respect your privacy. For a phone reading, when will you start deduct money from my account balance? We always deduct money only when the 2nd minute of your call will start. You will be charged per minute. What happens if my funds run out during my phone reading? When you’re in a reading, whether by phone or email, and your funds are about to run out, you will be offered an opportunity to extend your reading by buying more funds. After purchasing the package with funds you want you will be returned to your reading momentarily. If you don’t want to add more funds, you reading will simply end when your funds run out. How do I connect with a psychic by email? If on a psychic you see "Email" or "Email Reading" button it means that this psyuchic is available for email readings. 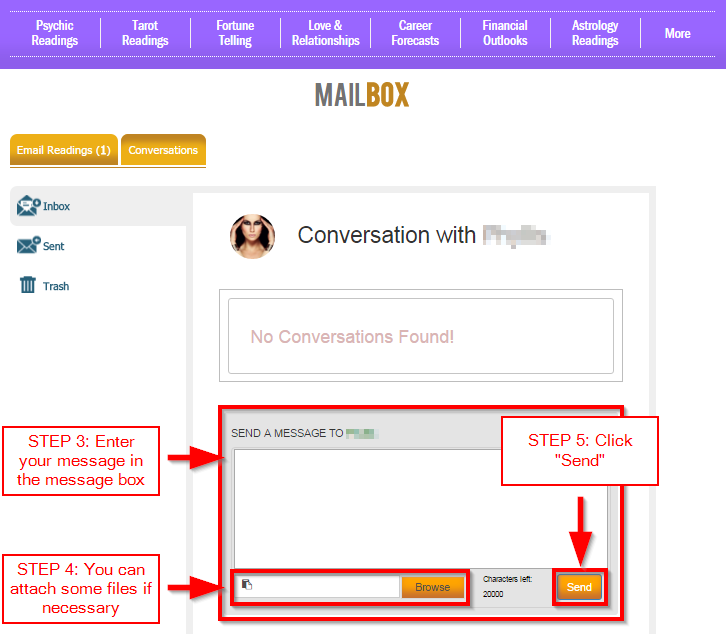 You just need to click on this button and you will be transfered to the email reading page which will allow you send an email reading to the psychic you chose. How long will it take before a psychic responds to my email reading? Every psychic does his best to answer email reading as soon as possible. However, it can take up to 72 hours for a psychic to respond to an email reading. If a psychic will not respond to your email reading within 72 hours, the email reading will be cancelled and money will be automatically credited back your account. You can create an account and make a purchase as a new member on our website. You will have few packages options for funds to buy. We accept credit cards (Visa and Mastercard), and PayPal. We will charge your credit card or PayPal account only for the amount you specify. How can I contact a psychic after a reading? In order to be able to contact a psychic, you need to request an email reading or have a phone reading with the psychic you are interested in. After that, please follow the instructions below: IMPORTANT!!! ***Take note that you can only contact psychics after purchasing an email or phone reading with them. 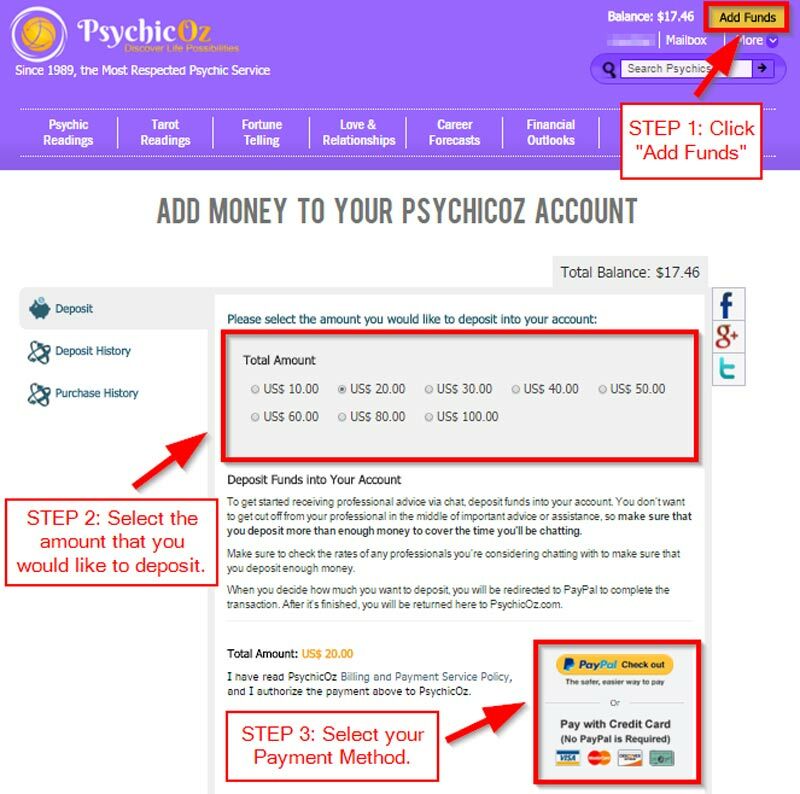 *** All the conversations between clients and psychics are MONITORED, EXCHANGE OF CONTACT INFORMATION and PAYING OUTSIDE OF PSYCHICOZ.COM is STRONGLY PROHIBITED, all transaction must be made through psychicoz.com website. All of our psychics have different styles and areas they specialize in. We encourage you to read the psychics bios to see who you might best connect with. How accurate are your psychics? We screen and test the skills of each psychic prior to hiring them. Every psychic is tested for accuracy, professionalism, compassion and the desire to help you. And we constantly seek out customer feedback to ensure our psychics are providing the best services to you. Each psychic has a unique way of giving a reading. Depending on what subject you want to explore, they may use specific gifts or tools to give you their best answers. You can review each psychic's strongest abilities on their individual bio pages. How do I sign up for your email list? 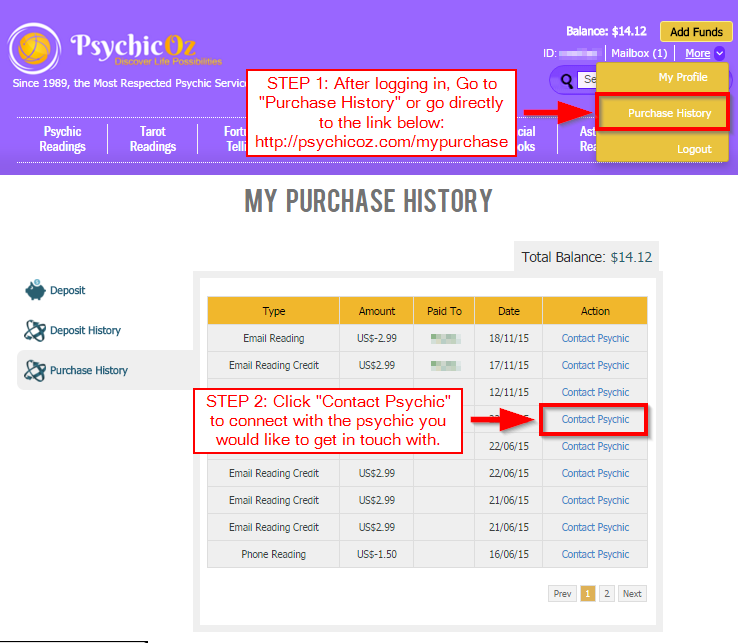 To receive news and special offer emails, you need to have a PsychicOz account. During the registration you have the possibility to signup for our website subscription email list. This is not a subscription service, so there is no automatic billing that will occur. Your account will only be charged when you make a purchase. Otherwise, your account is available for you to use at your convenience. Are you a psychic expert? Please see our psychic FAQ.